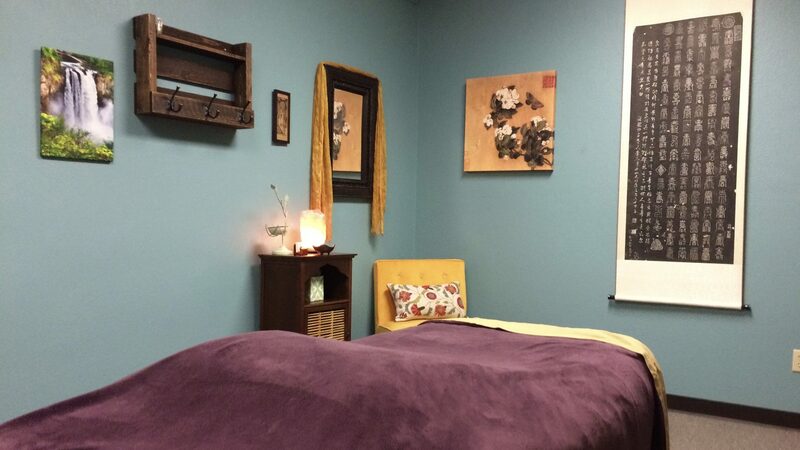 Ascension Wellness offers cupping therapy in Des Moines, WA. We are highly trained in many cupping techniques such as heated silicone cupping, kangzu, facial cupping, abdominal cupping or medicupping. What is cupping? Cupping is the therapeutic application of suction cups to the body. The most basic explanation is to call it “reverse massage.” You may have seen it on TV, as a person wields a flame under a cup and attaches it to the body. Very popular in Asian healing cultures, it actually has been practiced by ancient Egyptians, Greeks, Romans, and more recent cultures like South America, Russia & the US. Baguanfa is the modern term for Suction Cup Therapy. Baguanfa therapies have been used by healers for more than 5,000 years and is referred to in other cultures. As a massage therapist, I have found cupping to be one of the most effective ways to relieve muscular stress & tension. The process is simple, relaxing, & effective on so many levels. Small plastic or silicone cups with an air valve are placed on the skin and a pump is used to create a vacuum. This gently pulls the skin and muscle up producing a temporary local congestion and stretching the muscles, ligaments, and tendons. When the vacuum is released, your fascia (skin & connective tissue) has pulled away from the muscle and the muscle itself will have relaxed. You will also instantly notice your blood, energy, and lymph flow more vigorously through the area. Tension is released and you feel lighter. Cupping can leave a circular discoloration that looks like bruising, this is considered an expression of stuck energy or qi being released. In other words, if you get the “Badge of Healing.” It means that you needed it. The darker the Badge the more work it did to heal you. These marks usually clear within a few days. It is important to note that the discoloration is not a “bruise.” A true bruise is an injury and it will feel tender to the touch and follow a distinctive color pattern of healing, from purple or blue to yellowish green and then fading away. A cupping mark, which is not an injury, is caused by pulling cellular debris and dead blood cells to the surface where they can be flushed out by the lymphatic system. Cupping marks not feel tender to the touch and fade from a reddish hue to nothing at all. Cupping is also effective in treating menstrual cramping, bloating, constipation, rheumatoid arthritis swelling, and certain breathing conditions such as asthma or lung congestion. One of the most effective treatments is in reducing Cellulite & Stretch Marks! Ascension Wellness also has specialized cups that do amazing work on the face. The results can be compared to a facelift. If you have old scarring or large pores this can help as well. Women in Asia, Russia, and Europe have been utilizing these remarkable negative pressure facial exercises for rejuvenation and maintenance for many, many generations. This procedure alone can be done in a few minutes or can complement a longer facial protocol for ultimate results. To schedule your cupping appointment, book online at www.massagebook.com/ascensionwellness. If you have any additional questions about this service, contact us here.